Situated on the banks of the Thootha River, Sree Thootha Bhagavathy temple is one of the main Bhadrakali temples in Malabar. 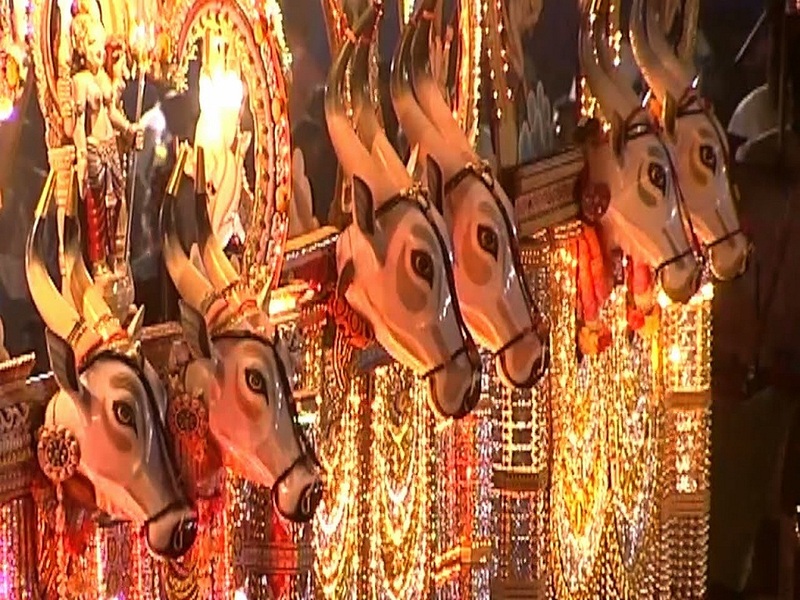 The annual Thootha Pooram is a dazzling spectacle to behold. 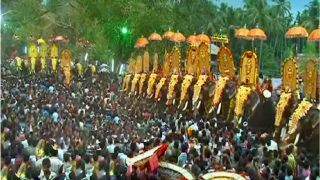 The Thootha Pooram marks the end of the pooram (festival gathering) season in the Valluvanadu region. 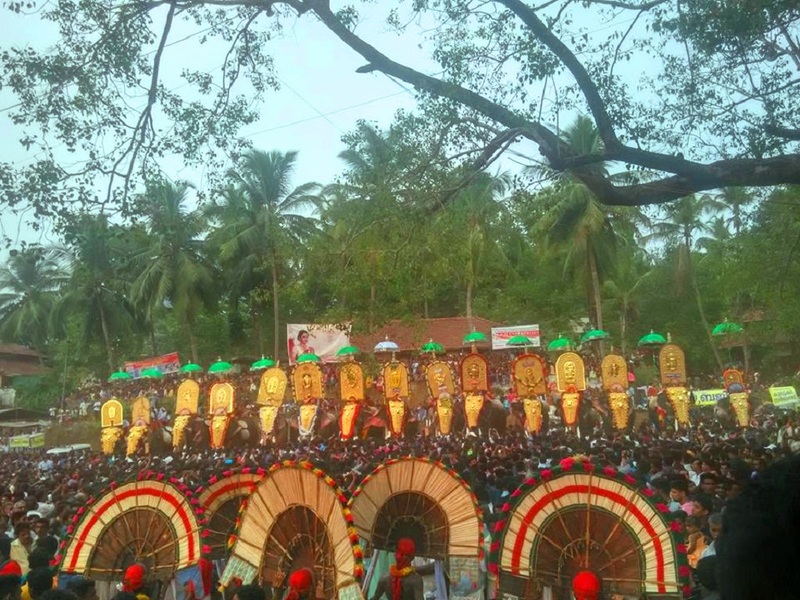 It is believed to be one of the biggest poorams after the Thrissur Pooram. The festivities are embellished by the traditional percussion ensembles comprising Panchavadyam, Pacharimelam and Pandimelam. 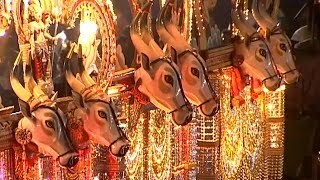 Famous for the caparisoned elephant pageantry bearing muthukkudas (sequined, glittering umbrellas) and venchamarams (white whisks) is a delightful sight. 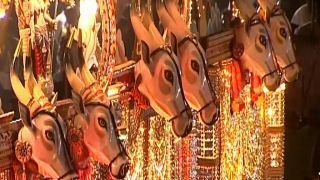 Kaala Vela is held on Makam asterism of the Malayalam month of Medam and Pooram festival on Pooram asterism. 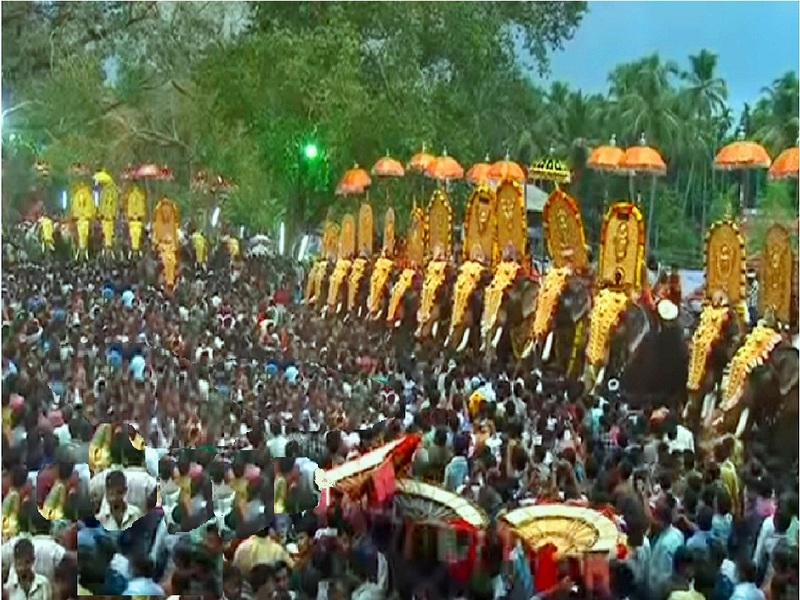 Kalam Pattu, Thalappoli, Chavittukali, Nayar vela, Kathir vela are held as part of this festival. 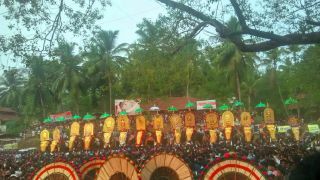 A month-long Tholpavakoothu performance will be held every year from 1 – 30 of the Malayalam month of Medam.